Kent and Heather Friedrichsen are organic farmers from central Iowa who have specialized in growing and consulting for Aronia Berries. Their farm has 13 acres of the berries as well as organic hazelnuts, corn and soybeans, and a variety of other seedings that vary with the seasons. They started Boone County Organics as an organic fertilizer and consulting company, primarily for farmers raising food crops. Aronia growers are the focal point of their business with clients in Iowa, Minnesota, Nebraska, Missouri, and Wisconsin. 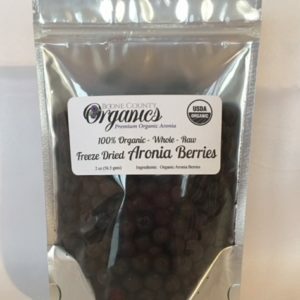 When compared nutritionally to other berries, Aronia is at the top of the charts. All you need is 15 to 20 berries a day. 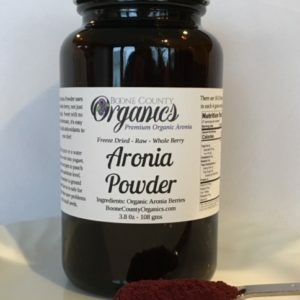 Studies suggest that the compounds in Aronia can lower blood pressure, stabilize blood sugar, provide protection from bacterial and viral infections, and even kill cancer cells. Boone County Organics freeze dries their whole berries to lock in the high nutrient and antioxidant content. 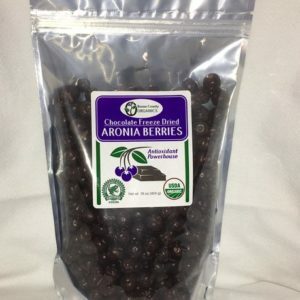 Boone County Organics Aronia berries are proven to have a higher nutrient content than many other aronia berries in the market. No bitterness and with a sweet taste, we’re sure you’ll enjoy them. 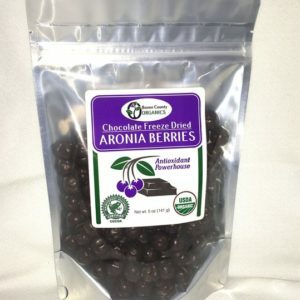 There’s more in development and with the Friedrichsen’s commitment to quality, they’re sure to be the best Aronia products you’ll find.